I do not see myself as a breeder of siberian huskies. I have bred, maybe three or four litters over a course of nearly 18 years. I have kept some of those. 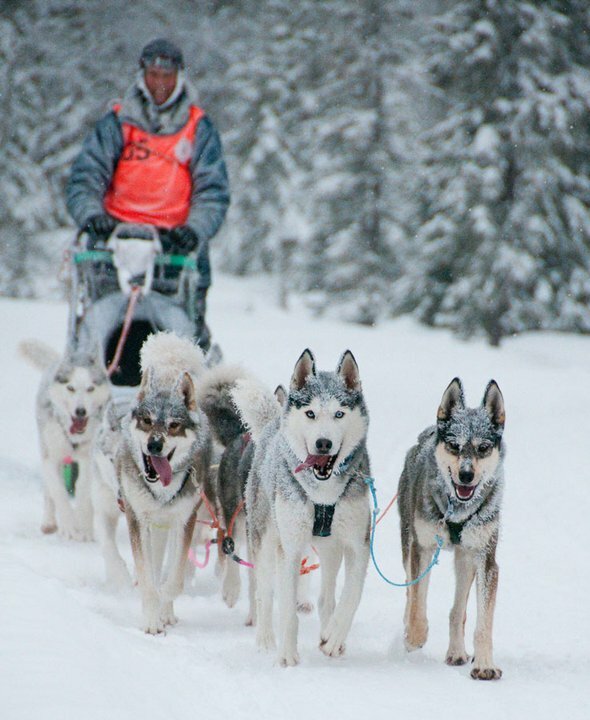 But I do think of myself as a dog musher. I like to be with my dogs, get the best of them. 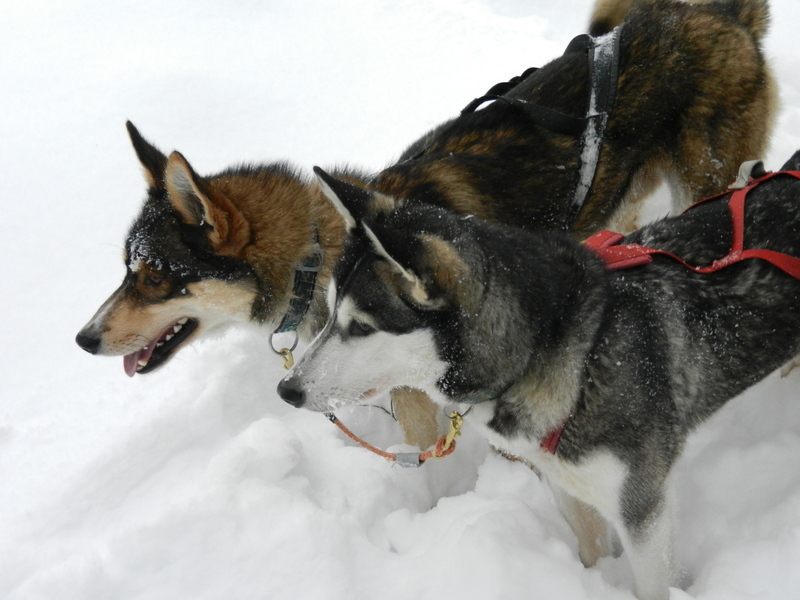 I don’t have superduper dogs, they are large, long legged and a few are a bit atypical, curly tails and size being wrong according to SH standards, but nevertheless far better sleddogs than many others. As a duty to the breed, I show them all, (or nearly all) sometimes many times, but only for judges that like working huskies. 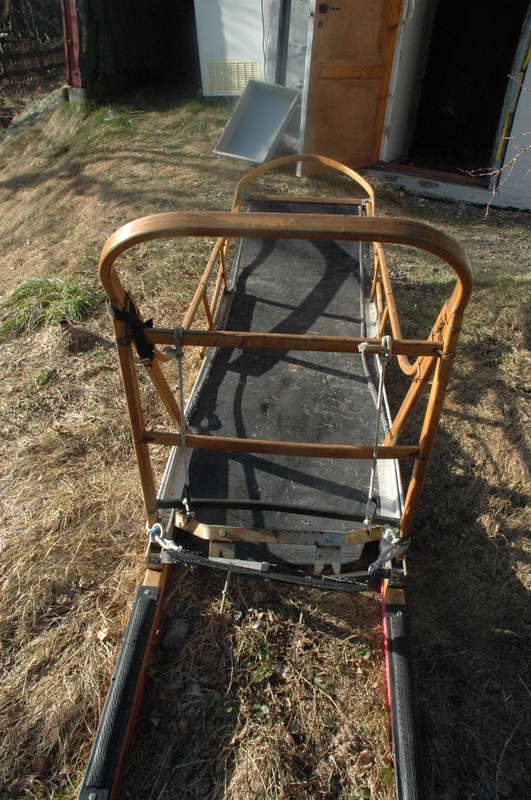 I keep a very small kennel to be a competitive sleddog kennel, thus I need to work a lot with the ones I have. 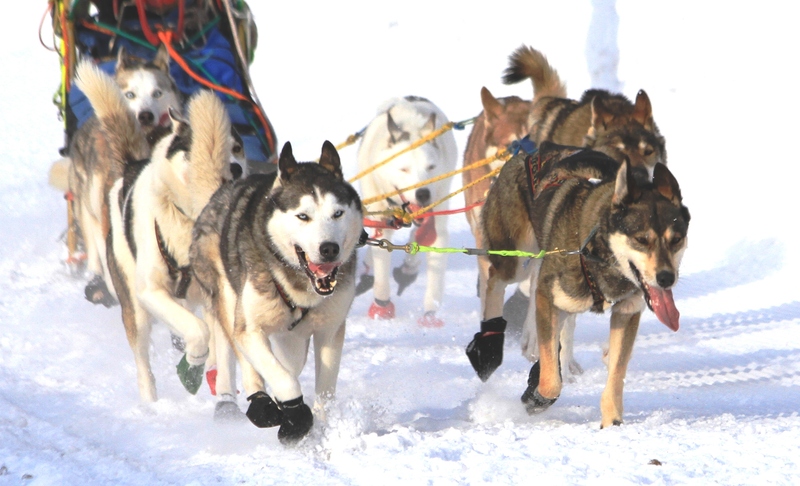 Recently 7 out of 10 were found to be eligible for the NKK sledog champion title. 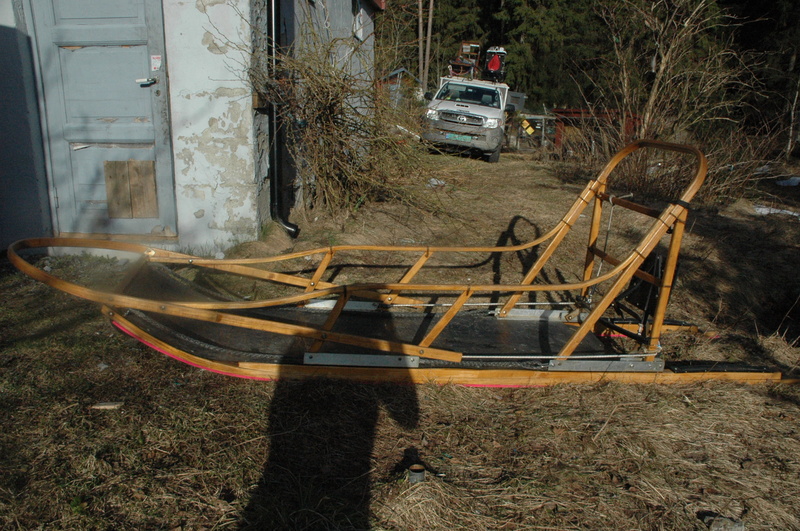 The dog has to be shown in a conformation with at least “very good”, and they have to have performed in dog races, winning “first price” award at least three times, in any of the sled classes or distances. 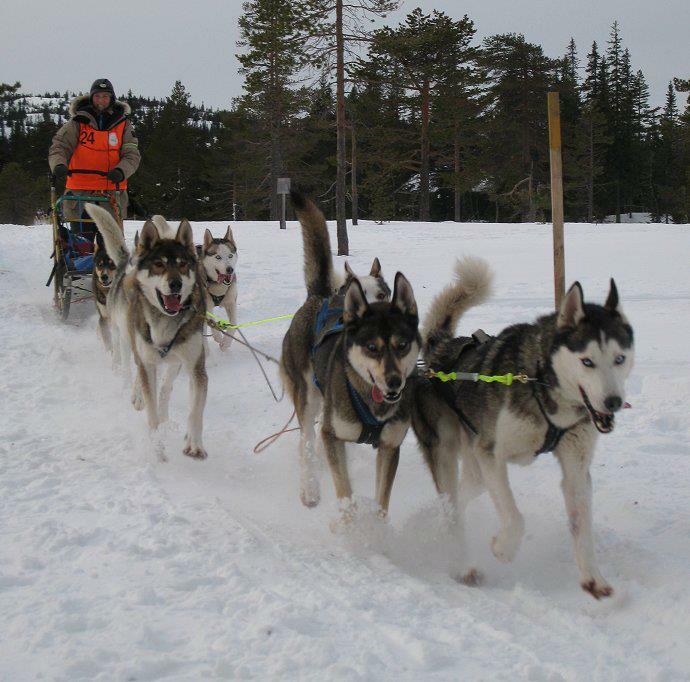 I have run mine in long middle distance and in limited class long distance for the most, as 8 or 6 dog teams always. Now we have enough first place awards and also conformation results that are good enough for 7 of those eight dogs. I introduce my dogs here: they are a happy gang who reside in one big dog yard. They are quiet and well behaved at home, and have good appetites. “Lillefot” or Cobby Lillefot, is a male, nearly 8 years old, son of Tipp and Suesuki, and born here. He is well built dog, on the large side, but within standard, and he has mainly got “excellent” on shows. 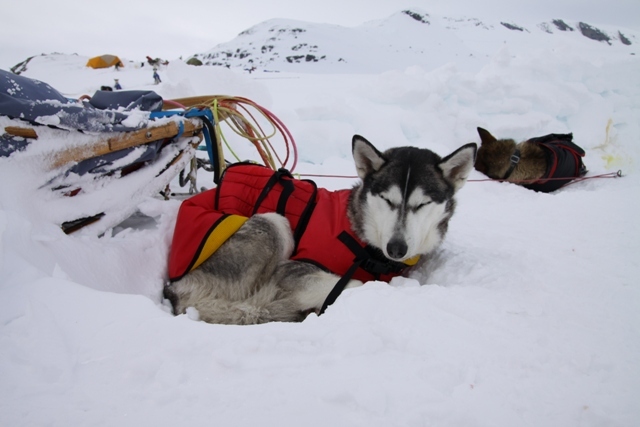 He is NOT the best sled dog, and has to run in wheel, but he has never ben dropped from any race. Probably because he spares himself a little. He is my most reserved dog, and needs time to get to know you, but for those he likes, he is very affectionate. He likes to talk, especially at start up, when he may get a bit “hot”. He likes to run! He is tha father of two of the other dogs I have. 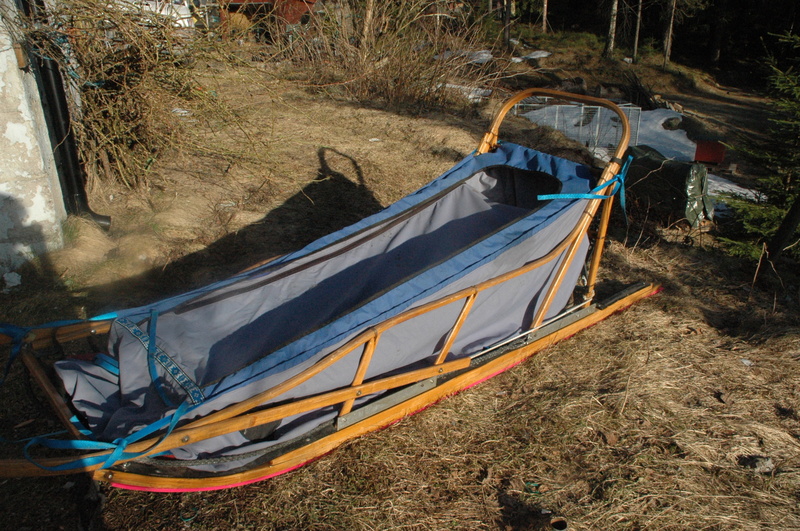 Has finished many short MD, Femund 400, and Finnmark 500 twice. Sapian is a near 4 year old male. 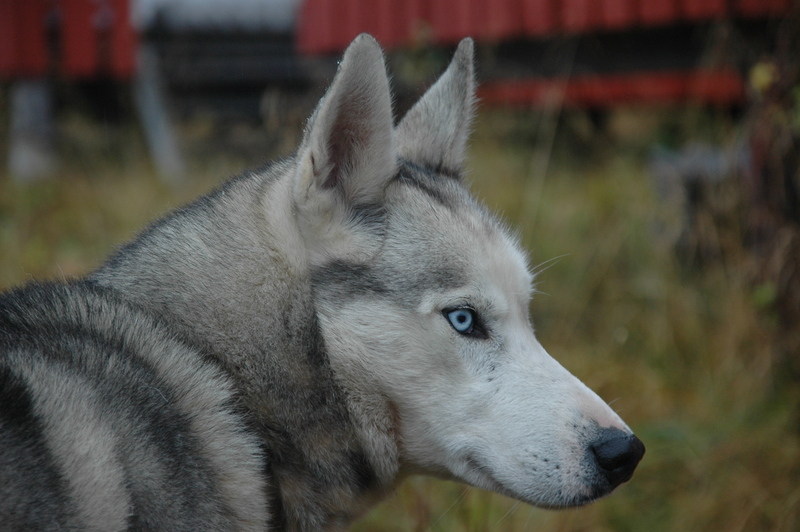 He is from Trond Hansen and has different breed lines from the others. He is a piebald, standard size, well built, gets CK and excellent on shows, has a sweet and balanced temperament, works hard, but not too hard, and can run in all positions. He may get carsick, and he loves people and likes to sit with his paws on your lap. 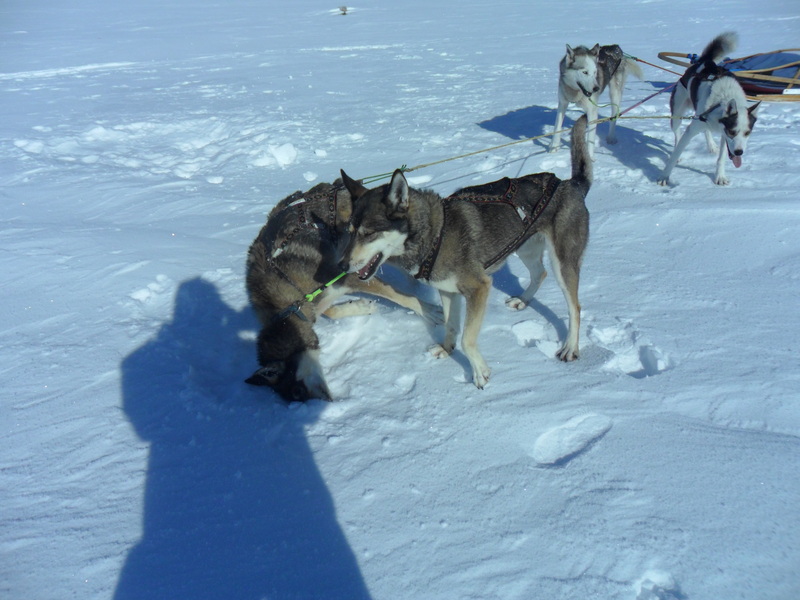 Finished Finnmark 2 times plus a lot of other races despite his young age . Kobuq (Korbuq Kjappfot to be corect) is also Tipp/Suesuki, 8, and born here. 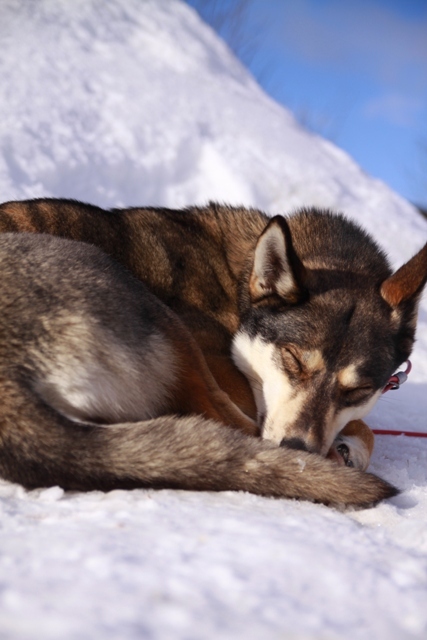 He is a steady lead dog, has led the team through Femund400 twice, Finnmark twice, Femund jr, Gausdal Marathon and numerous mid distance races. Keeps the right side well, and passes all teams despite where they come from. 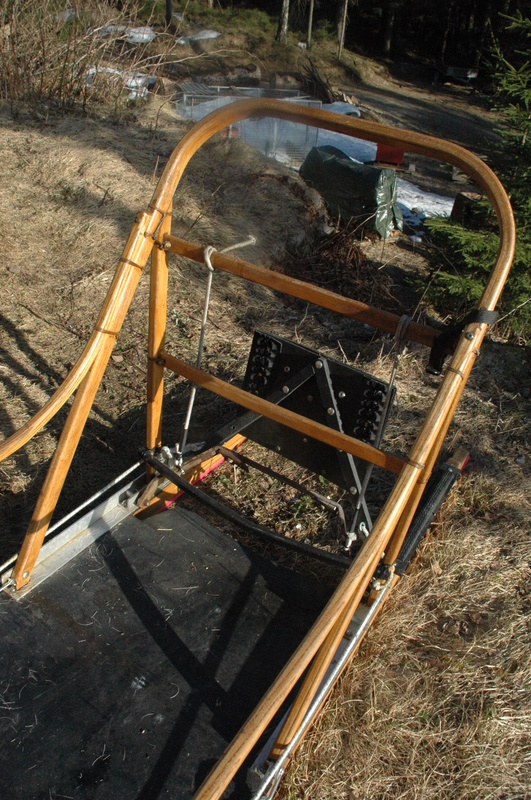 Leads well in bad weather, can follow trail markers, and likes speed. Likes to play clown at the start of races, but settles down after two-three minutes and never quits (except once when he stepped in a hole). Very affectionate and friendly and LOVES children and being indoors. Not just as well built as his littermate, and somewhat bigger, but very strong and sturdy. Has one litter from him with Molinka, and is always the lead dog in major events. 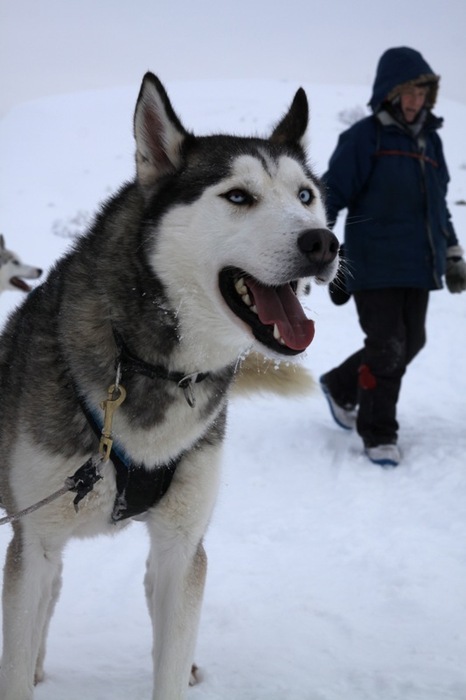 Juluss (5) is Lillefot’s son with Racer. Well built, a bit on the large side, but has a few “excellents”. Lots of sound at startup, can run in lead with good speed, but prefer to have him in the rear, as he does not keep right at all times, and likes to pass other teams a bit close. Has a stong well built body and never gives up. 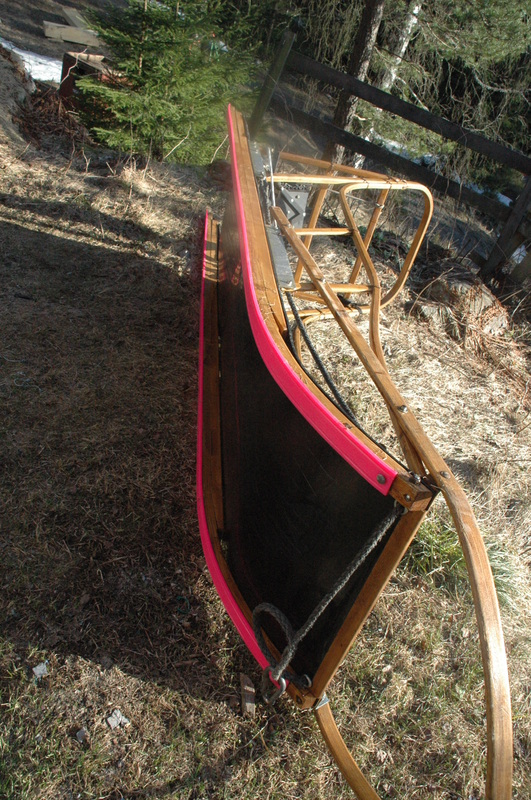 Has finished Femund and Finnmark and a lot more. Is a bit reserved like his father, but thaws up easily. Not a LOT of self confidence. Likes to be reassured and led. Playful in the dog yard. 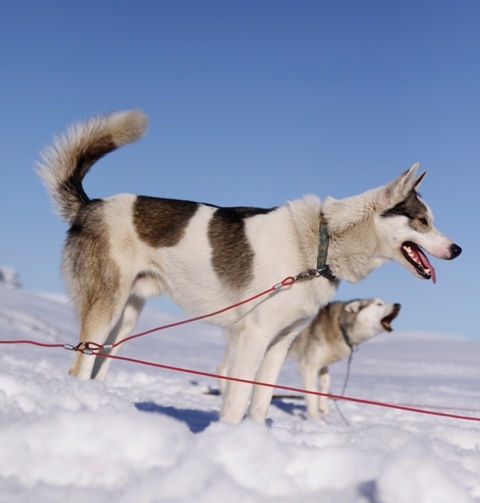 Nenana is the daughter of Lillefot and racer. 5 years, an excellent lead dog always. Pays attention to good speed and moving forward. Passes well, quiet at hookup, Well built, masculine type of lady, with “very good” at shows, maybe because she is big. 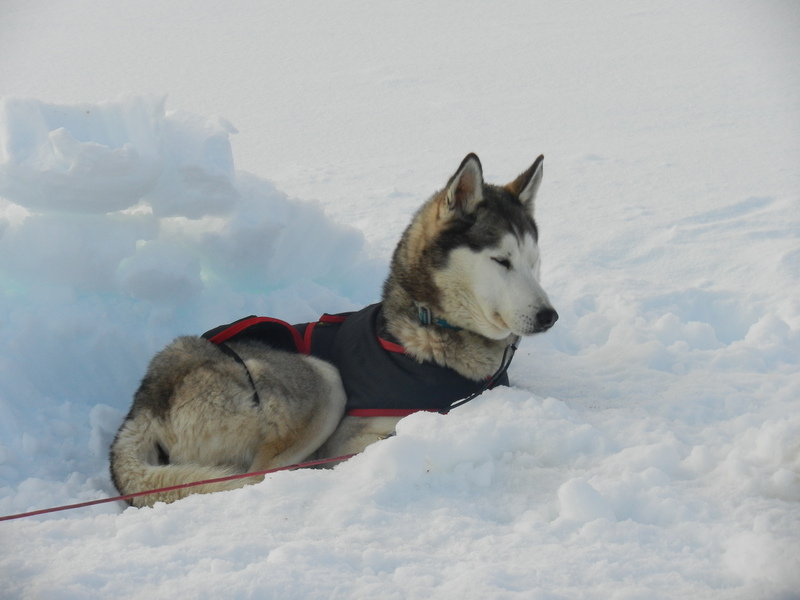 She won “golden harness” at Femunden this year, and led Oda’s team and three more teams through a storm in the mountains and to the road crossing without hesitation. Well tempered, affectionate, obedient. My best dog ever. Has led all the races she has been to from beginning to finish. Tana is a 6 year old female of Tara (Varga’s daughter) and Jericho (from USA). She is also a big skinny girl who does not like long distance, but runs well in shorter races. Has “very good” in shows, and is a super friendly girl with a lot of human friends. Likes to sleep in her chair – inside. Is spoiled and happy and wants to be a family dog, and needs to sleep in the tent on long trips. Pretty face! Managed to get her championship only through mid distance. Likes to hunt small animals (but never gets to try). Tipp (10) is the oldie. From Leiah av Brattalid and Alaskan Ping Ping of Anadyr. Father of Cobby and Kobuq. Has two or three more litters. Was an excellent foul wether lead dog with a LOT of self confidence. Has finished many long distance races as a lead dog. Tough, a bit reserved towards other dogs, affectionate with ladies. Very strong will. Is retired now. Did NOT do well in conformation shows to begin with, as he hated it, and did not let the judge touch his “balls” at all – tried to run awayand spoke loudly as he always used to (wooo woo wooooo). Eventually grew up and did okay. Big, strong, well built, but had a back injury once that made him a bit moody. Got helped by chiropractor and acupuncture and did two more seasons. Is now a family dog. 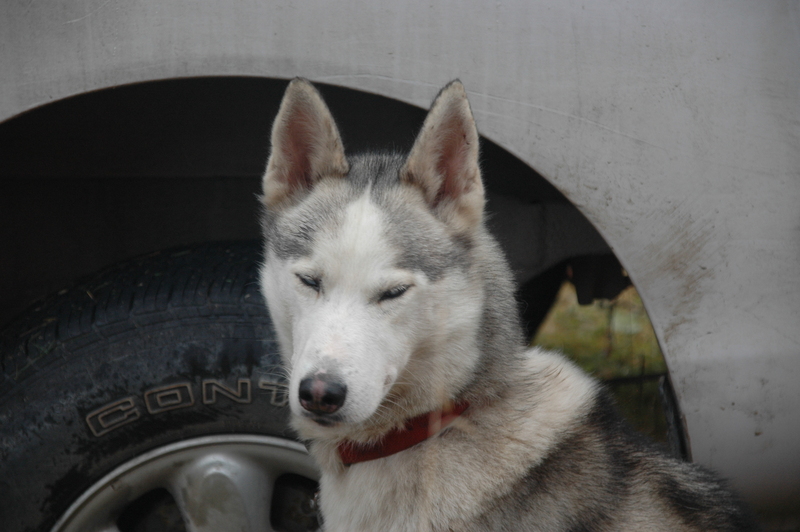 Sajo, Limpopo and Bardus are NOT standard siberians or exibition/shown siberians. Sajo (3) is too tall and was disqualifies because of that, Bardus (5) is too tall and has a curly tail, and Limpopo is not shown since he si young (1,5 years) and has a curly tail. 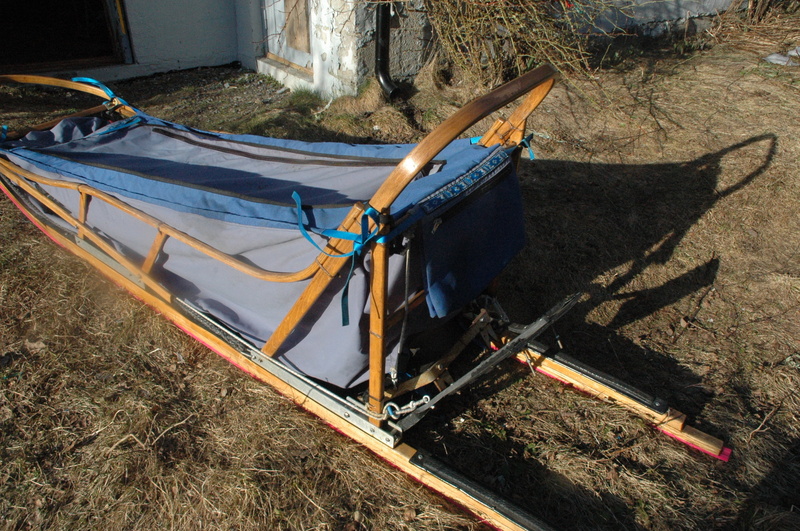 They have good sled merits, though. And great temperaments.